Explore the Upside Down, the Quantum Realm, the TARDIS, and much more with Neil deGrasse Tyson, Chuck Nice, James “Murr” Murray, and Brian Greene. Hosts Gary O’Reilly and Chuck Nice enter the ring with Sugar Ray Leonard and Dr. Anthony Alessi to learn the sweet science of boxing. 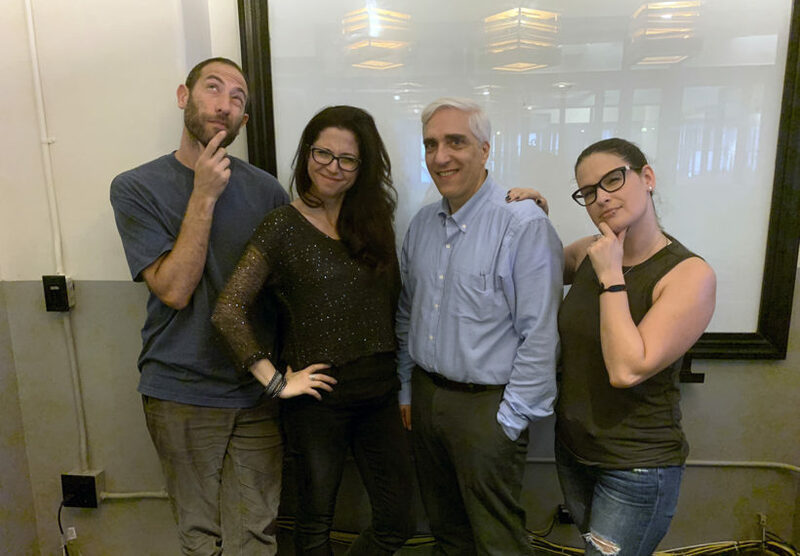 Heather Berlin questions the truth with Cara Santa Maria and Dr. Steven Novella of “The Skeptics’ Guide to the Universe” and comic co-host Ari Shaffir. Neil deGrasse Tyson to Interview National Geographic Explorer & Academy Award-Winning Filmmaker Cameron, with Special Guests Ellie Kemper (Unbreakable Kimmy Schmidt), Kevin Hand (NASA/JPL), Julie Huber (Woods Hole Oceanographic Inst.) & Comic Co-Host Eugene Mirman (Bob’s Burgers). Investigate puppeteering and performance capture, from Yoda to Gollum, with Neil deGrasse Tyson, Frank Oz, Andy Serkis, Adam Conover, Charles Liu, and Bill Nye. Hosts Chuck Nice and Gary O’Reilly investigate mental health in sports, with former NBA player Royce White, Heather Berlin and Krista Van Slingerland. Natalia Reagan and co-host Sarah Rose Siskind investigate bioarchaeology and forensic anthropology with Kristina Killgrove and Chris Rainwater. Neil deGrasse Tyson and Chuck Nice sit down with freshly-minted 2018 Nobel Laureate Jim Allison to discuss the frontier of cancer research and treatment. Hosts Chuck Nice and Gary O’Reilly sit down with sports engineer David James to explore the cross-pollination of sports, science, and technology. David Grinspoon, Chuck Nice, and Sofia Sheikh hunt for technosignatures, alien civilizations, and investigate our search for intelligent life. Neil deGrasse Tyson, co-host Chuck Nice, and Astro Mike Massimino celebrate the legacy of Neil Armstrong. Feat. interviews with Armstrong and Gene Kranz.